Hi, I recently visited the small LUSH Cosmetics store on "Mariahilfer Street" in Vienna and I was both stunned and amused by the funny store concept and here is why. #1 LUSH soaps and bath products smell so good. Handmade soaps do not only look so fresh and tasty but also smell so good. 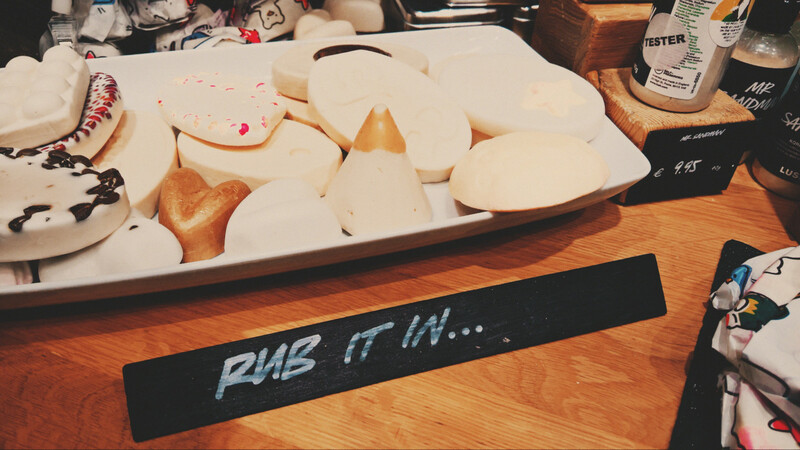 LUSH is like a perfume store in some sense and you can even smell it when passing by. #2 Fresh product and store design make you feel like in a candy shop. #3 Proactive and funny salesgirls everywhere. Whether you like proactive customer service is up to you but there were almost as many salesgirls in the small store as customers (also mostly girls), who pro-actively welcomed you and gave advise on the large range of bath and skin care products. There were maybe 10 salespersons in the small cramped store, which is so funny, but underlines how important sales is actually for a business.